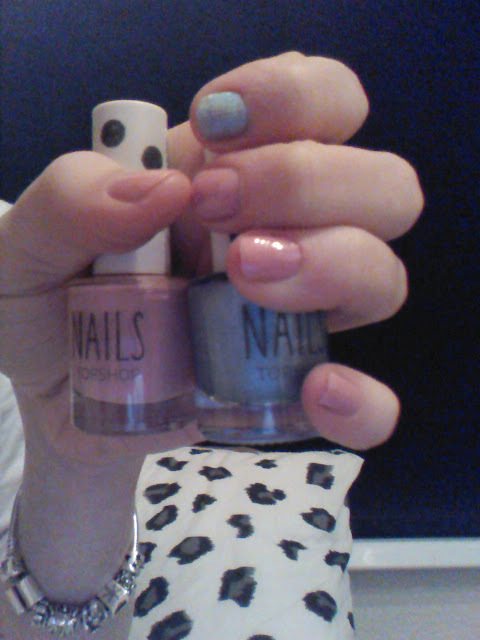 Topshop nail varnish left; Prim and proper, right; moon dance. And if anyone is wondering the charms on my Pandora bracelet are (left to right) - best friends charm, bow charm, love birds charm, bhudda charm, Breckenridge charm, flower charm, star cut out charm. Cute nails! I'd love it if you followed me back.